The Divisional Labour Office, Jeypore discharges following important functions. Maintaining industrial peace and harmony including settlement of industrial dispute, implementation of settlements as well as awards passed by industrial tribunals and labour courts matters relating to strike, lockout, layoff, retrenchment, closure and prosecution under Industrial Disputes Act, 1947. Filing of claim cases and prosecutions under Minimum Wages Act and Payment of Wages Act. Registration and Licensing under Contract labour (R & A ) Act, Interstate Migrant Workers ( RE & CS) Act, Odisha stops and Commercial Establishment Act, Motor Transport Workers Act. Registration of Trade Unions under Trade Unions Act and verification of membership of Trade Unions for recognition through secret ballot as per the verification of membership and recognition of Trade Union Rules 1994. Ensuring payment of notified minimum wages to workers particularly engaged in the unorganized sector under Minimum Wages Act. Ensuring social security benefits to the workers both in organized and unorganized sectors under (1) Maternity Benefits Act. (2) Payment Of gratuity Act (3) Workmen’s Compensation Act to both male and female workers. Providing protection to labour with special emphasis to eliminate and prevention of child labour system under child and Adolescent Labour (Prohibition and Regulation) Act. Ensuring payment of equal remuneration to female workers both in organized and unorganized sector at par with workers doing same and similar work under Equal Remuneration Act. Preventing illegal and unauthorized drafting and exploitation of migrant labour through unscrupulous middle men to other states under Inter State Migrant Workmen (RE & CS) Act. Prohibition and regulation of Contract Labour system in different industries in the state under contarct labour ( Regulation and Abolition ) Act. Regulation of employment of construction workers in the state under Building and Other Construction Workers (RE & CS) Act. To provide social security and welfare of the unorganised workers(meaning home-based workers, self-employed workers or daily-wage workers) under Unorganised Workers’ Social Security Act 2008 . 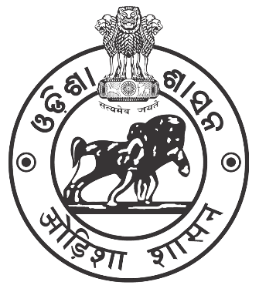 The Odisha Labour Welfare Fund Rules is an act to provide for the constitution of a fund for the financing of activities to promote welfare of labour in the district. The Building and other Construction workers (Regulation of Employment and condition of Service) Act, 1996 (Central Act) and Rules 2002. Assistance in case of accident, Death Benefit, Assistance for funeral expenses, Medical Assistance under RSBY & BKKY, Marriage Assistance, Maternity Benefit, Educational Assistance, Assistance of purchase of working tools, Assistance for purchase of bi-cycle, Assistance for purchase of Safety Equipments, Housing Assistant under Nirmana Shramik Pakka Ghar Yojana, Financial Assistance for skill upgradation, Recognition for prior learning and skill development of Construction worker etc. Different benefits extended by the Odisha Building and Other Construction Workers’ Welfare Board. Odisha Unorganised workers Social Security Rules 2010 has made for welfare of the unorganized workers and to provide them social security by implementing different social welfare scheme. The workers working in unorganized sectors shall be registered under this Act. The unorganized workers belonging to Street Vendors, Small Traders, Domestic Workers, Rickshaw Pullers, Auto Drivers, Cobbler, Agricultural and Forest Workers, Newspaper Hawkers, scavenger etc. shall be registered under Odisha Unorganised Social Security Act. Health Assistance This assistance will be extended to the beneficiary and /or family members in convergence with Health and Family Welfare Department from the existing Government Scheme. Register employee or Inspector (Employment certificate). Every unorganized worker who has completed eighteen years of age, but has not completed sixty years of age and who has been engaged in any unorganized sector shall be eligible for registration of beneficiary under Act. The registration of workers shall be Rs.30/- and fee for annual renewal shall be Rs.50/-. The fee for any change of nominations and for issue of duplicate identity cards shall be Rs. 20/-(excluding photo of the beneficiary). The following no. of beneficiary benefited from Odisha Building and Construction Workers Welfare Board till February,2018. One Sri Basupati Muduli of Doksibeda village under Dasmanthpur Block has been repatriated from Hoshiarpur district of Punjab state in the year 2015 who has been missing since 10 years. 4 migrant labourer of Kebidi G.P under Jeypore Block who died in the railway track near Egmore Railway station, Chennai, Tamilnadu state in the year 2016 . Labour officials along with the relative identified their dead bodies and repatriated from Chennai Municipality hospital for handed over the same to their family . One Miss Pasagadgu Sion Kumari of Koraput Block has received an amount of Rs.40,000/- towards educational Benefit for higher studied from Odisha Building and Other Construction Workers’ Welfare Board.